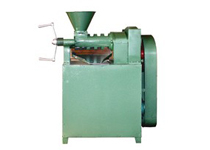 Rice Bran is obtained from the granular coating between the rice kernel and the husk, known as the hull. The crude rice bran oil, subsequently undergoes the following rice bran oil refining process before it is bottled: degumming and neutralization, bleaching, deodorizing, dewaxing, cold filtering (winterisation) and packaging. In order to obtain high quality rice bran Oil, the entire vegetable oil refining always start with reducing excess free fatty acid and then decreasing the colour with activated clay. 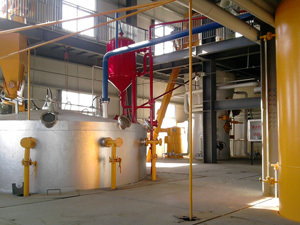 After decreasing colour, the oil is forwarded to the crystallization process before filtering the wax through a filter press machine. The next process is to remove odor by using high-pressure steam deodorizer at a temperature of 230-240 degrees Celsius. The heating medium used in this process is high pressure steam. No thermal oil or PCB (Polychlorinated Biphenyl) involved in the refining process at all. The result is a high quality and safty rice bran oil. Rice bran is the thin layer of brown rice. It is the most nutritious part of rice. Rice bran is high in vitamins and nutrients. Rice bran oil, not fiber, lowers cholesterol in healthy, moderately hypercholesterolemic individuals. Because there were no substantial differences in the fatty acid composition of the diets, the reduction of cholesterol seen was due to other component present in the rice bran oil. Rice bran oil is used in cosmetics because it's a great moisturizer. It contains natural Vitamin E, flows nicely. It provides moderate penetration and leaves no greasiness or stickiness on the skin. It is an excellent carrier oil.